A COOL NEW LEAD. We’re still figuring out what the heck antimatter even is, but scientists are already getting ready to fiddle with it. Physicists at the European Organization for Nuclear Research (CERN) are one step closer to cooling antimatter using lasers, a milestone that could help us crack its many mysteries. BIG BANG, BIGGER MYSTERY. Antimatter is essentially the opposite of “normal” matter. While protons have a positive charge, their antimatter equivalents, antiprotons, have the same mass, but a negative charge. Electrons and their corresponding antiparticle, positrons, have the same mass — the only difference is that they have different charges (negative for electrons, positive for positrons). When a particle meets its antimatter equivalent, the two annihilate one another, canceling the other out. In theory, the Big Bang should have produced an equal amount of matter and antimatter, in which case, the two would have just annihilated one another. But that’s not what happened — the universe seems to have way more matter than antimatter. Researchers have no idea why that is, and because antimatter is very difficult to study, they haven’t had much recourse for figuring it out. And that’s why CERN researchers are trying to cool antimatter off, so they can get a better look. MAGNETS AND LASERS. Using a tool called the Antihydrogen Laser Physics Apparatus (ALPHA), the researchers combined antiprotons with positrons to form antihydrogen atoms. Then, they magnetically trapped hundreds of these atoms in a vacuum and zapped them with laser pulses. This caused the antihydrogen atoms to undergo something called the Lyman-alpha transition. According to Momose, this phase change is a critical first step toward cooling antihydrogen. Researchers have long used lasers to cool other atoms to make them easier to study. If we can do the same for antimatter atoms, we’ll be better able to study them. 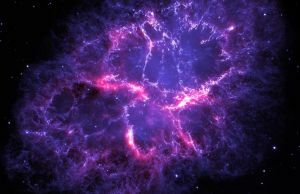 Scientists can take more accurate measurements, and they might even be able to solve another long-unsettled mystery: figuring out how antimatter interacts with gravity.